Chicken Pox Cure- Some East Texans believe they know the cure for chicken pox. According to one old wives’ tale, the best solution for a case of the chicken pox is to take the infected person to a chicken coop and have a chicken fly over the person’s head. Some say the pox are sure to disappear within a day after the chicken flies overhead. Others contend the notion is ridiculous, but suggest that anyone who attempts this East Texas home remedy to steer clear of fighting chickens. 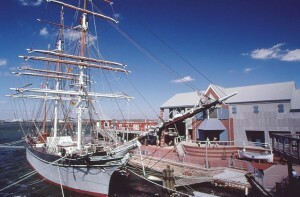 Galveston Island, Texas– Galveston Historical Foundation’s Texas Seaport Museum is seeking hardy volunteers to learn the ropes on board the 1877 iron barque ELISSA and help maintain the National Historic Landmark tall ship. 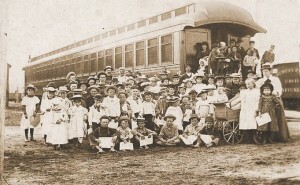 NACOGDOCHES- The Riders on the Orphan Train program will arrive at the Nacogdoches Railroad Depot on Tuesday, March 25th. Novelist and Humanities Scholar, Alison Moore, and singer/songwriter, Phil Lancaster, will bring the story of the orphan train riders to life. This program is a 1½ hour multi-media program that incorporates video, music and audience discussion that sheds light on the largest child migration in history. 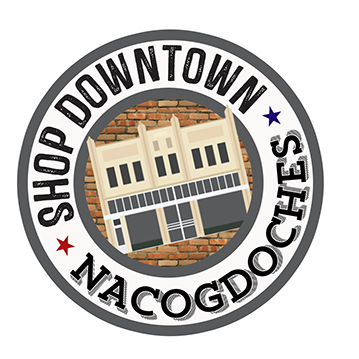 Nacogdoches, Texas- Merchants of historic downtown Nacogdoches are gearing up to participate in “Small Business Saturday,” this coming Saturday, November 29thth.